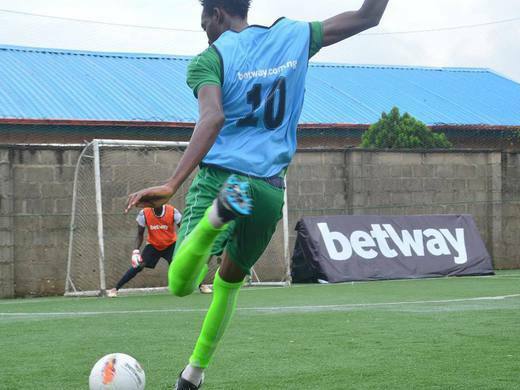 Photos from The betway5sleague 2018 finals - Catch live photos taken at the finals of the betway5sleague 2108 season. 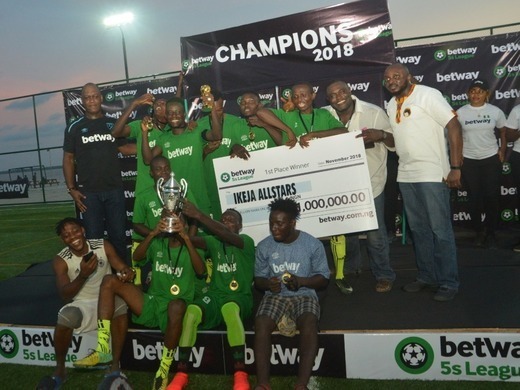 Ikeja All Stars, champions of the betway5sleague 2018 season - Ikeja All Stars emerge winners of the 2018 betway 5-A-Side league. 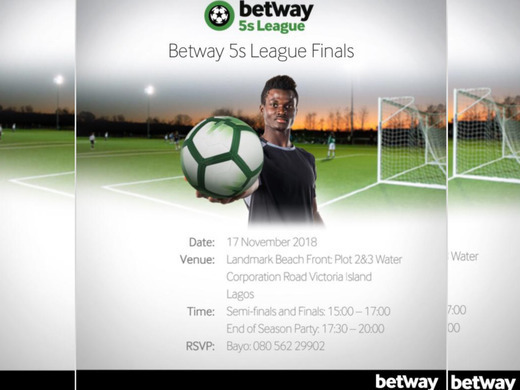 The 2018 betway5sleague finals, set for the 17th of November. 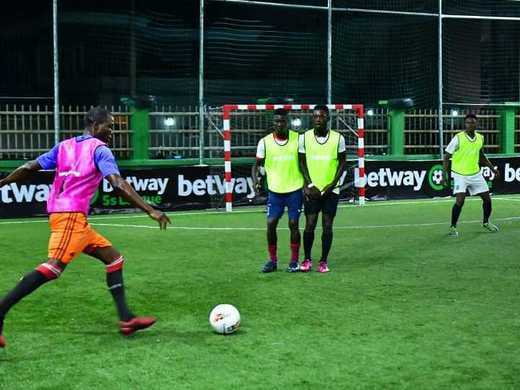 - The finals for the 2018 season betway5sleague football competition set for November 17th. Updates on the playoffs finals. - Match activities and update on the PlayOffs final. Match day: First Leg PlayOffs.. - First Leg PlayOffs brief update. Top Qualifying Teams To The PlayOffs Stage. 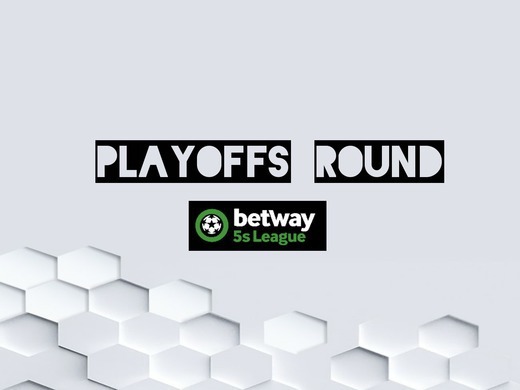 - Top four teams qualify for the final round of play-offs, while the other qualifying teams battle each other in the 1st & 2nd leg of Play-offs. 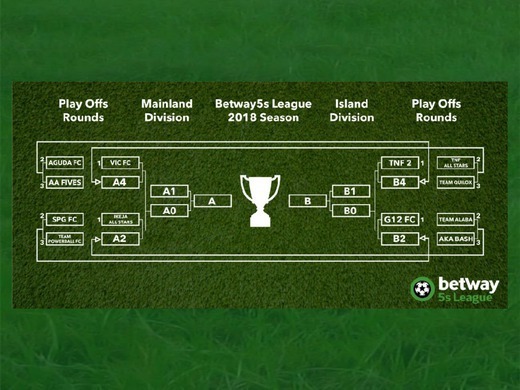 Betway5sleague PlayOffs Stage. 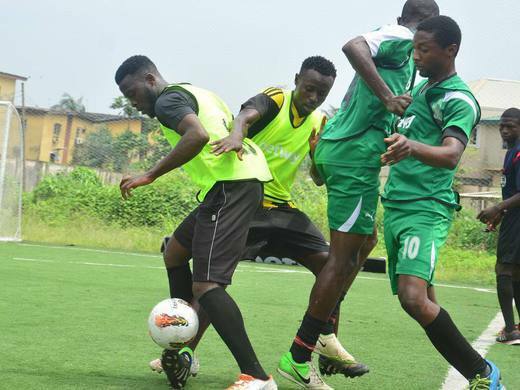 - The competition moves on to the next stage of PLAYOFFS. Details within. 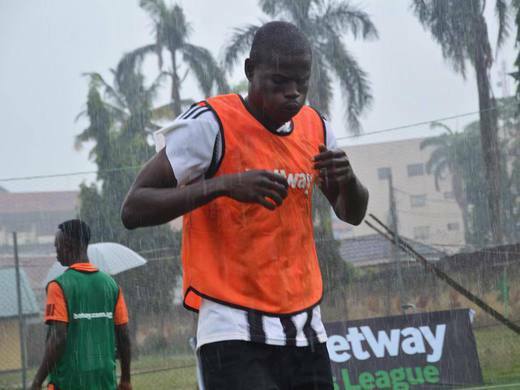 Betway5sleague Preview Match Day 2. 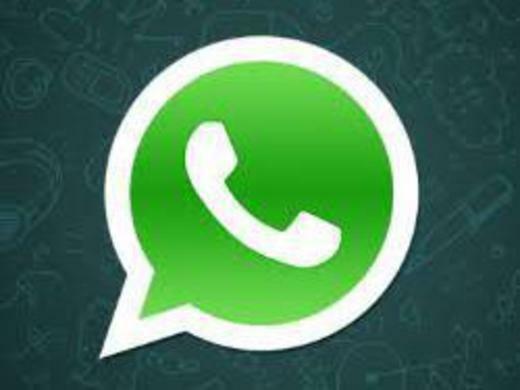 - Watch exciting scene and highlights of the game. 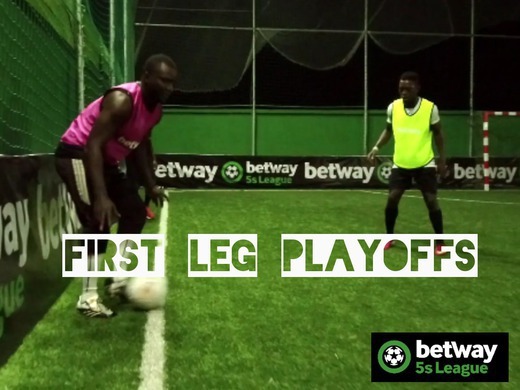 Betway5sleague Match Day Preview - Catch scene's / previews off match day one. 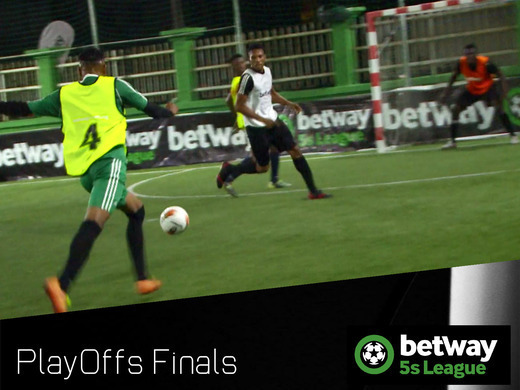 Catch live photos taken at the finals of the betway5sleague 2108 season. 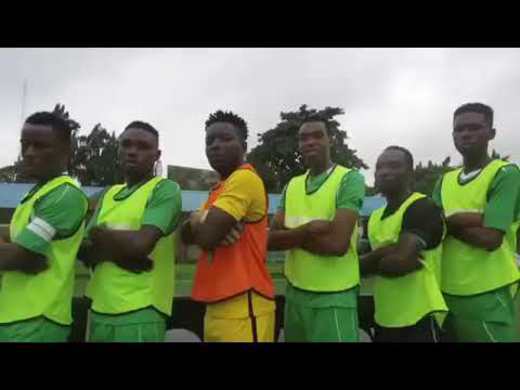 Ikeja All Stars emerge winners of the 2018 betway 5-A-Side league. 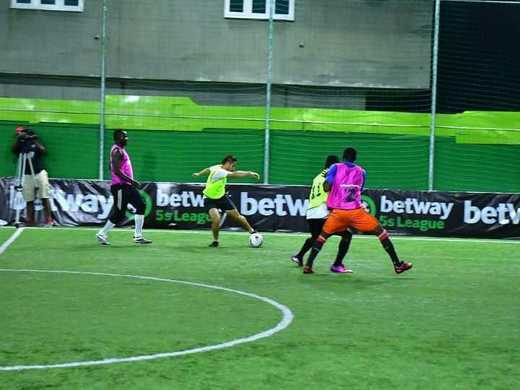 The 2018 betway5sleague finals, set for the 17th of November. 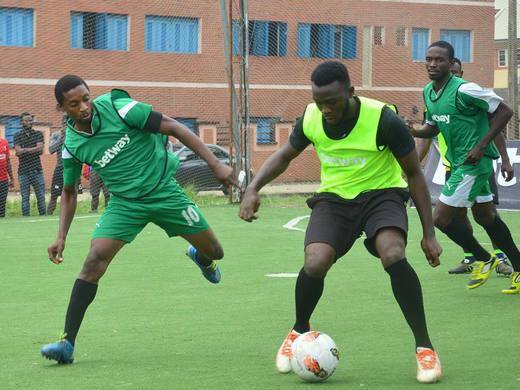 The finals for the 2018 season betway5sleague football competition set for November 17th. Updates on the playoffs finals. Match activities and update on the PlayOffs final. 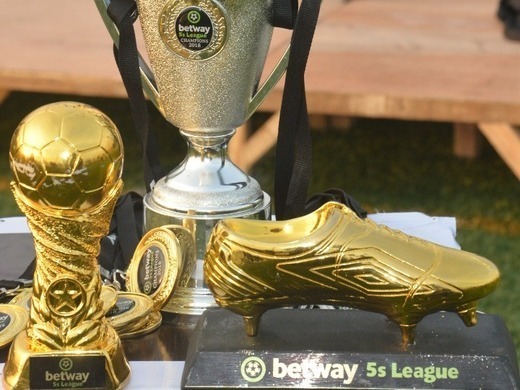 Photos from The betway5sleague 2018 finals Ikeja All Stars, champions of the betway5sleague 2018 season The 2018 betway5sleague finals, set for the 17th of November. Updates on the playoffs finals. Match day: First Leg PlayOffs..
Top Qualifying Teams To The PlayOffs Stage. 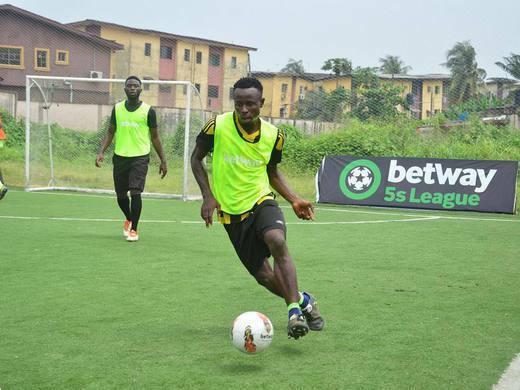 Betway5sleague Preview Match Day 2. For players and fans who wish to follow updates from the league/other seasons. 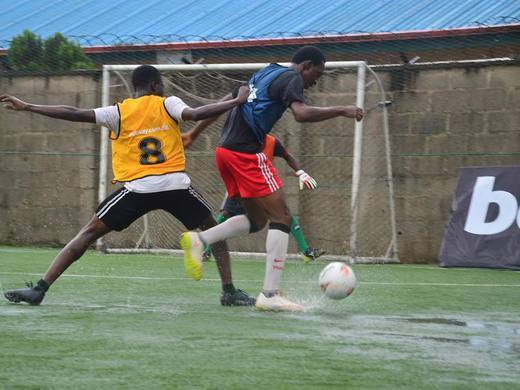 Watch highlights of head to head matches between teams..